SHW Planning have been working on behalf of Gallagher Properties Limited in order to achieve consent for a cutting-edge HGV workshop facility for Scania GB on a three acre site in Pease Pottage, West Sussex. The site was successfully marketed by SHW Business Space and the pre-application was warmly received for transforming the vacant land to a suitable alternative use generating employment. 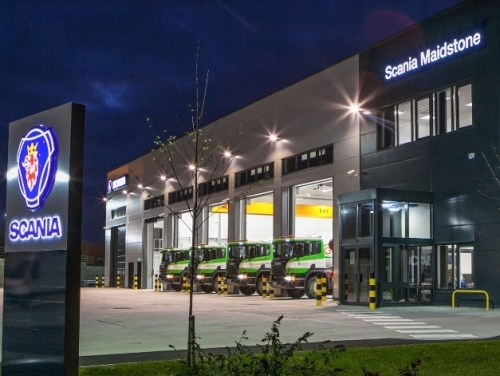 Gallagher Properties gleaned considerable experience from delivering a near identical new-build facility in Maidstone for Scania GB. This was opened by Her Excellency Nicola Clase, Sweden's Ambassador to the UK and this was a helpful platform to demonstrate the calibre of the new development. Scania had been searching for a suitable site for another South East workshop for a number of years. The application was presented to the Mid-Sussex Planning Committee which unanimously supported the proposals.